Removing rubber is difficult, whether it is tyre marks on a road surface or a coating on equipment or a surface. It is designed to stay in place, and takes special equipment to remove it. 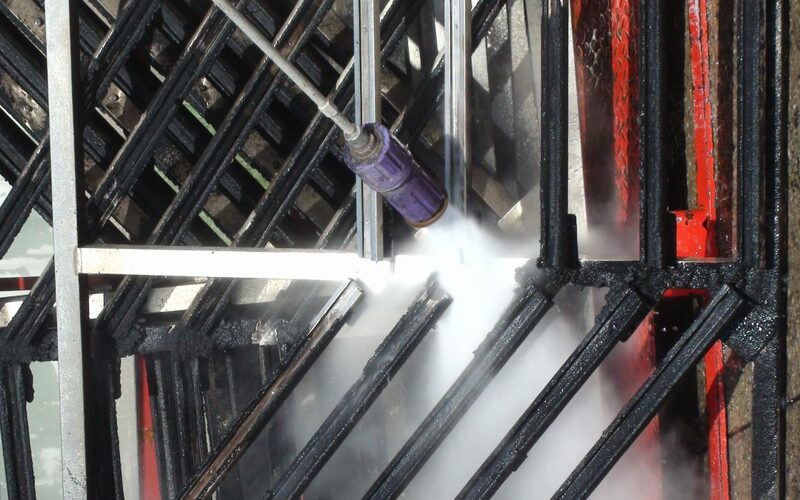 We use high pressure water jetting and specific nozzles to remove rubber with ease, including the preparation of concrete and steel for further applications. The use of these techniques creates little mess, and does not damage the surface below the rubber. One instance where removing rubber may be needed is in an Airfield. Airfields often need rubber removal services to keep runways in a safe condition. Airfields require everything to be full health and safety tested before being used whether that is the planes, fire exits and runways. Runways require a specific amount of friction on the landing strips to prevent planes from skidding off. The design of the runway, the weather and the amount of rubber can all affect the level of friction on the runway. Rubber removal is often required on landing strips to remove extra rubber particles from air tyres which could affect the level of friction on the surface. Rubber is used for its characteristics of friction, insulation and elasticity. Because of its unique properties, it is vital that the level of friction is kept at a certain level so that it can perform better. One example is the use of rubber in road tyres, if there are a lot of skid marks on a road, rubber removal may be required to ensure that the friction from cars on the road won’t be affected. Additional rubber left on roads can lead to cars skidding of the road and causing life threatening accidents. Watch the video below to see the Rubber Removal process in action! If you would like to find out more, get a quote, or just some advice, contact Hydroblast directly.